Please take urgent action on these two significant Idaho oil and gas resistance events. Thanks to Citizens Allied for Integrity and Accountability (CAIA) of Fruitland, Idaho, for organizing and sharing news about them! Contact CAIA with your questions and suggestions at info@integrityandaccountability.org, IntegrityAndAccountability.org, or 208-963-5707. The first oil and gas bill of the 2016 session is printed and scheduled to be heard on Friday, February 19, at 1:30 pm MST, first on the day’s agenda of the Idaho Senate Resources and Environment Committee [1, 2]. Attorney Kate Haas of the law firm Kestrel West, representing the primary Idaho oil and gas development company, Alta Mesa, will present Senate Bill 1339 (S1339) in Room WW55 of the Idaho Capitol in Boise . Please participate in this hearing by attending in support of bill opponents, submitting your written comments in advance or in person, and/or speaking against S1339 for up to three minutes. Contact Committee members by phone or email before the hearing. Call 208-332-1323 and/or email sres@senate.idaho.gov, to extend your comments to all of the committee members together, or write to each and all of them at their individual addresses: Steve Bair <sbair@senate.idaho.gov>, Clifford Bayer <cbayer@senate.idaho.gov>, Marv Hagedorn <mhagedorn@senate.idaho.gov>, Lee Heider <lheider@senate.idaho.gov>, Roy Lacey <rlacey@senate.idaho.gov>, Sherry Nuxoll <snuxoll@senate.idaho.gov>, Jeff Siddoway <jsiddoway@senate.idaho.gov>, Michelle Stennett <mstennett@senate.idaho.gov>, Steve Vick <sjvick@senate.idaho.gov>. Please see the linked talking points for further information about the text and backers of S1339, and TAKE ACTION NOW! Citizens Allied for Integrity and Accountability is hosting the first public protest instigated by southwest Idaho gas field residents, not northern Idaho radicals, against the oil and gas industry invasion facilitated by Idaho state government, since contemporary drilling began in 2009 . CAIA asserts that this February 22 rally, presumably on the Jefferson Street steps of the Idaho Capitol in Boise, intends to send a strong message to Idaho lawmakers that state citizens oppose ongoing legislative efforts to limit city, county, and other local governmental control over oil and gas facilities and operations, and that we demand that they protect the health and safety of Idaho’s people and environment, especially water, our greatest and most precious resource. Wild Idaho Rising Tide (WIRT) activists are grateful for this long-awaited uprising: PLEASE PARTICIPATE! 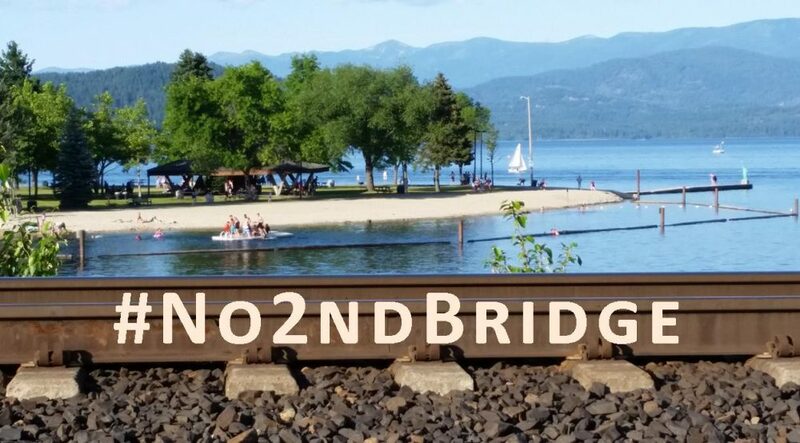 Join us in carpooling or riding in a provided vehicle from Sandpoint and Moscow to the Statehouse steps by 4:15 pm MST, displaying solidarity and support for citizen resistance to fossil fuel infrastructure and transportation in the Treasure Valley. Contact WIRT by phone at 208-301-8039 or by email at wild.idaho.rising.tide@gmail.com, to RSVP!